Does money cause stress in your life? Learn practical, Biblical steps to get rid of debt, take control of your money, give generously, and secure your family's future. 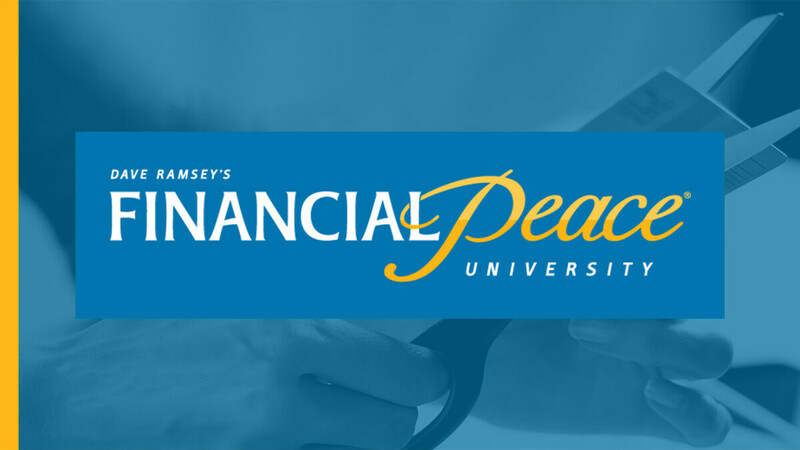 Financial Peace University is an 8-week financial management course featuring video segments from financial guru Dave Ramsey. In each video session, Dave walks you through the basics of budgeting, dumping debt, planning for the future and much more. The class will be facilitated by Kirke Meeks, a financial professional with over 35 years of experience in financial counseling. This course will help you overcome the burdens, stress or anxiety you have about money once and for all. This session is now full. Please check back later on for another class registration.